The BSC was part of a consortium that has successfully received funding from the EC for a Horizon 2020 research project entitled: SUFISA - Sustainable finance for sustainable agriculture and fisheries (Horizon 2020. Call: H2020-SFS-2014-2. Topic: SFS-19-2014). A good functioning of the European food system is key to deliver food and nutrition security for all Europeans. However, that system faces many economic, environmental and social challenges as well as opportunities following socio-economic and technological developments that are not equally distributed throughout the EU. Future policymaking aiming at healthy and resilient systems needs to take into account this differentiation and diversity of approaches, which necessitate foresight activities that take into account both the development of important driving forces as well as the social and spatial diversity. Primary production — that is agriculture, fisheries and aquaculture — forms the foundation of the food system. Its structure and performance is influenced by various conditions shaped by both the public and the private sector. As economic agents, primary producers aim at generating a sufficient amount of income but their financial conditions are highly dependent on public and private actors, such as suppliers, processors, wholesale and retail businesses, the financial sector, as well as government regulators (including the EU’s agricultural and fisheries policies). In other words, the web of policy requirements as well as input and output market imperfections greatly shape farmers’ and fishermen’s livelihoods. 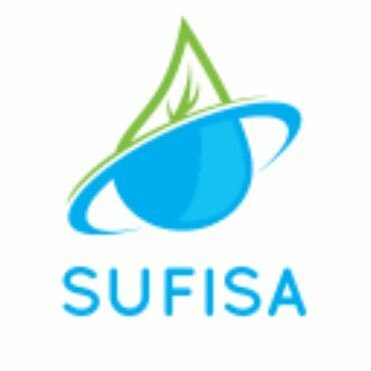 The work of the SUFISA project will be based on a close cooperation with stakeholders of the industry, policy makers and representatives of governmental and non-governmental organizations. The combination of theoretical approaches and multi-actor involvement will be the precondition for the identification of practices and policies aiming at addressing market failures hindering farmers and fishermen to function sustainably. To download project summary press here. Project's booklet can be downloaded here. SUFISA project policy briefs: the dairy sector; the grain sector. To receive the newest project related information either follow projects Twitter account @SUFISA_EU or follow project's blog here. To read project's newsletter follow this link: https://www.sufisa.eu/13590-2/. The results from the case studies conducted in Latvia can be downloaded here D 2.2 National Report Latvia. A short description of case study on dairy sector can be downloaded here: SUFISA LV Dairy case Extended summary. For the shorter summary of the wheat sector related findings follow this link: SUFISA LV Wheat case Extended summary.